Like I said yesterday, I'm reviewing some polishes from Pretty & Polished, which is an indie brand with polishes that are 5-free. There are tons of different finishes, including holographics, cremes, and thermals, as well as nail treatments and body care products! If you missed yesterday's post, be sure to check it out here. Also check out their Beauty Boxes and see what all they have to offer! First up is from the Dusty Cremes collection, Saucey Marsala. 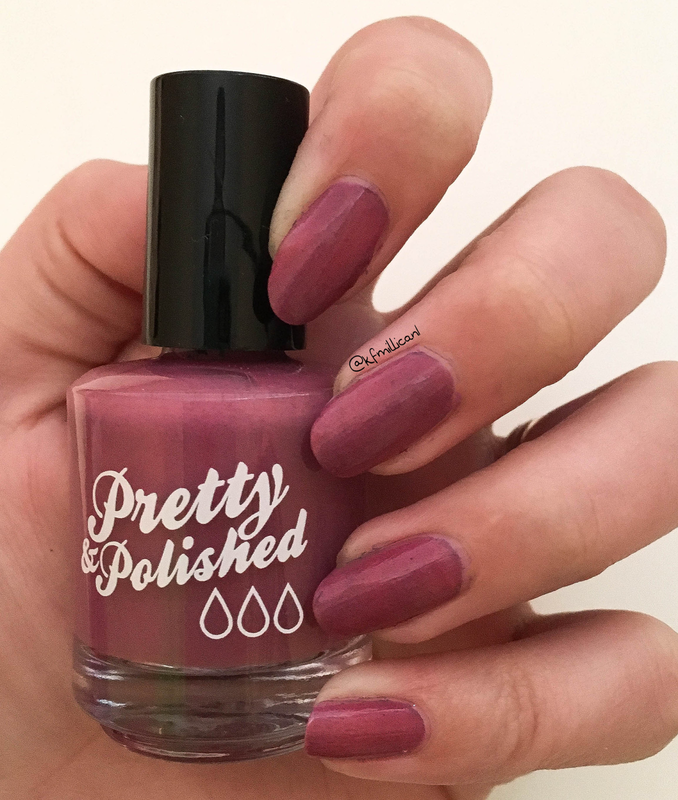 Saucey Marsala is a gorgeous smokey rosey red, in their Dusty formula which dries to a satin finish. I have had a few marsala polishes through the course of this year, due to it being the Color of the Year by Pantone, but I have loved comparing them. 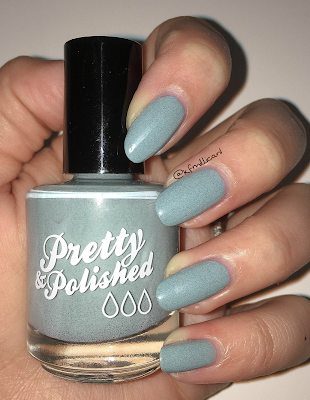 This is my first in a non-creme finish for this shade, and it's gorgeous! Top coat not needed for it to be smooth! Second, also from the Dusty Cremes collection is My Sage Advice. My Sage Advice also dries to a satin finish and is a gorgeous smokey sage green that leans a bit blue. I had to try out two polishes from the Dusty Cremes, so I grabbed a green/blue! The formula is perfect, and the color is gorgeous. 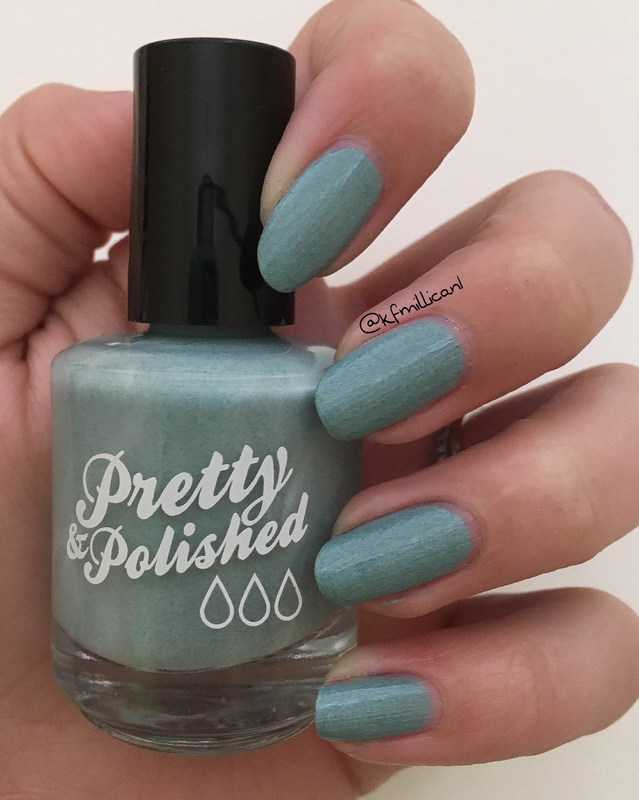 I've never seen a shade like this one Again, this one doesn't require a top coat to be smooth! Finally, a purple! It's from the The Color Purple collection, Violet Femmes! 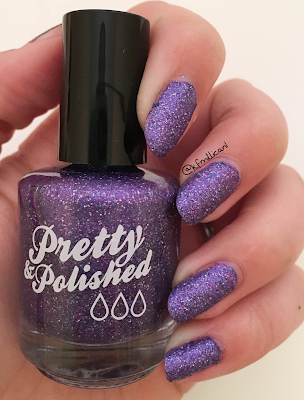 Violet Femmes is a full coverage holographic glitter polish packed with purple and violet glitters. I told you there would be a purple, and this one is a doozy. The different glitter colors make this such a unique polish, and I love the way they sparkle under the light! This one does need a top coat to smooth it out. Between yesterday's polishes and today's, I'm absolutely in love. 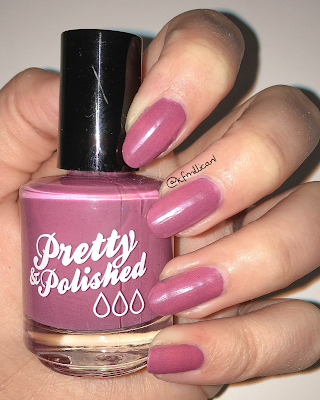 If there ever was a question of my love for Pretty & Polished, there isn't now. The formulas are wonderful and the colors are so unique, they've added a new level of gorgeous to my collection! If you want to see what I've been getting from the Beauty Boxes, make sure to click here! As always, let me know what you thought of these polishes in the comments!